Video players are used for playing the movies and music on Windows devices, these music and video players are utilized for its different features. 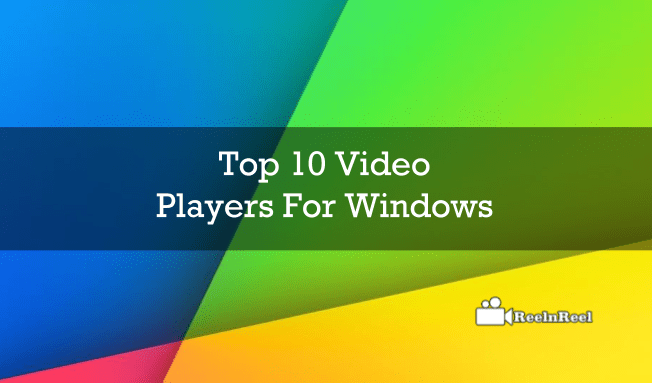 Here are some top video players that are used for windows. VLC is the most popular media player that most of the windows users use. It is open source software which can be utilized for watching the movies and other videos on windows PC. When comes to its features, VLC media player’s streaming features are excellent and it can support all types of video formats for playing. It also offers subtitle format which supports well, and the player has the best user interface which does not include any ads or other spyware. It is best for user privacy as well as the sound output is also very well comparing to other media players. MPC-HC is another free software which can play different types of video files across your PC. No advertising and other unnecessary tools are involved in the player. It can also be able to play any heavy file. It includes key commands and available for 64-bit version files also. When comes to customization, this is the best option as you can install toolbars and skins basing on your interest. If you love to watch your videos in high definition, then the DivX player is the best option to choose. It supports the HEVC playback along with the cross-device streaming. supports the popular formats like AVI< MP4, MKV and as well as DIVX. It has a good inbuilt media server that helps you to stream across different devices with DLNA support. It is available for free of cost. KMP is best for watching the movies as it can supports all formats in a smooth way. It supports the latest 3D, 2K, UHD and 4K also but it just requires low configuration. Users can also setup the libraries and experience the best. Potplayer is another free version software video player for windows Pc. It supports the XP running devices to windows 8 devices. It does not require huge hardware specifications. It utilizes the hardware acceleration features which provide the users with the best experience. It supports 3D glasses and other features. RealPlayer is another video player available for free and also for premium. It has an impressive option of sharing through the cloud. The users can access the files across different devices. The freemium version offers the standard features whereas the premium version starts from $4.99. The universal media player is open source software available for free. It provides seamless move watching experience on windows PC. It is built in with codec support which helps you to play MP4, XVID etc. it also offer a source for the streaming services. A new generation player available for free as well as for the premium too. It offers best online space to store your favorite files and acts a typical media player with awesome features. It comes with simple UI design with best features. It has built-in codec’s and offers good support to the Youtube platform which enables the videos to play. SMPlayer utilized the MPlayer as media playback which enhances the best experience for movie watching. GOM media player is one of the best players for windows PC which supports almost every format. It offers advanced customization with video effects, audio capture and much more. Therefore, all these above players are some of the most-used players on windows PC.